Cinnamon Leaf Essential Oil is known to have strong antiseptic properties, and has a fresh, spicy fragrance. Its warmth and intoxicating aroma make it a favorite in diffuser blends. Cinnamon Leaf Essential Oil is known to have strong antiseptic properties, and has a fresh, spicy fragrance. Cinnamon Leaf essential oil is warm and stimulating, making it a favorite to diffuse during the fall and winter seasons. A strong antiseptic, Cinnamon Leaf oil has a cleansing effect, as well as a lovely fragrance. Cinnamon Leaf has many useful applications. One of our favorite blends using Cinnamon essential oil is our Healthy Mouth Blend, a recipe for which can be found here on our blog. Avoid cinnamon essential oil during pregnancy. Not recommended for sensitive skin as cinnamon oil can cause skin irritation; moderate dermal toxicity. Avoid using in baths. 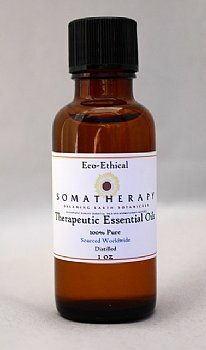 To see our full list of essential oils, click here. Disclaimer: The information provided here is for educational purposes only, and not intended to treat, prescribe, cure, or diagnose any disease or condition. This information is not intended as a substitute for consulting with your physician or other health care provider. Dreaming Earth Botanicals is not responsible for any adverse effects or consequences resulting from the use of any of the suggestions, preparations, or procedures discussed. All matters pertaining to your physical health should be supervised by a health care professional. Keep all aromatherapy products out of reach of children. Copyright © 1997-2019 by Dreaming Earth Botanicals. All Rights Reserved. No part of Dreaming Earth may be duplicated or incorporated into any other work without express written permission.